The cost of a five-minute attack on a large online store is about $5. One of the current trends is the infection of IoT devices (CCTV cameras, DVR-systems, “smart” household appliances, etc.) and their subsequent use in DDoS attacks. And while vulnerable IoT devices exist, cybercriminals are able to exploit them. 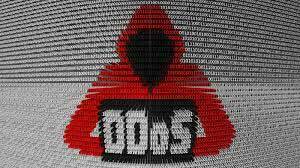 It should be noted that DDoS attacks and, in particular, ransomware DDoS have already turned into a high-margin business: the profitability of one attack can exceed 95%.